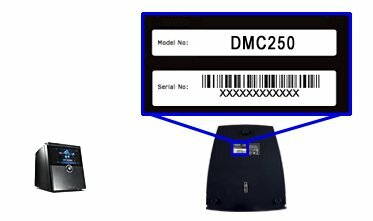 To find model, hardware version or serial numbers, choose your device below. You should find the model number on the sticker underneath the device. Please see the example. 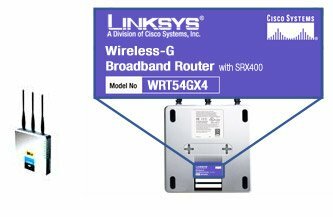 Take note of the exact model number and version of your Linksys device. The serial number is located right underneath the model number. In this example, the model number of the device is WRT54G ver 6. NOTE: The images may vary depending on the exact model number of your Linksys Product. If there is no version number besides the model number it means that is version 1. Look at the side panel of the router when it is standing vertically. You should find the model number on the sticker. Please see the example. 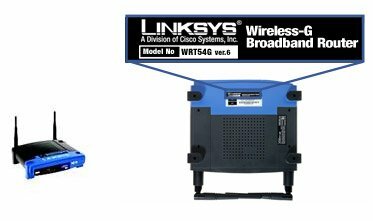 Take note of the exact model number and version of your Linksys device. The serial number is located right underneath the model number. In this example, the model number is WRT54GX4.